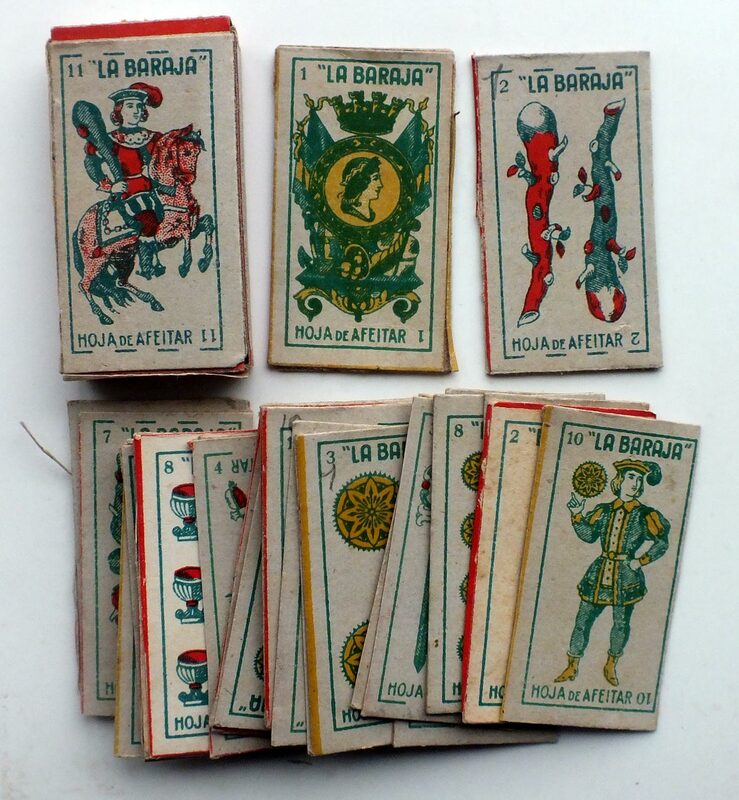 Baraja de Hojas Maravilla descalificadas como de primerísima categoría. 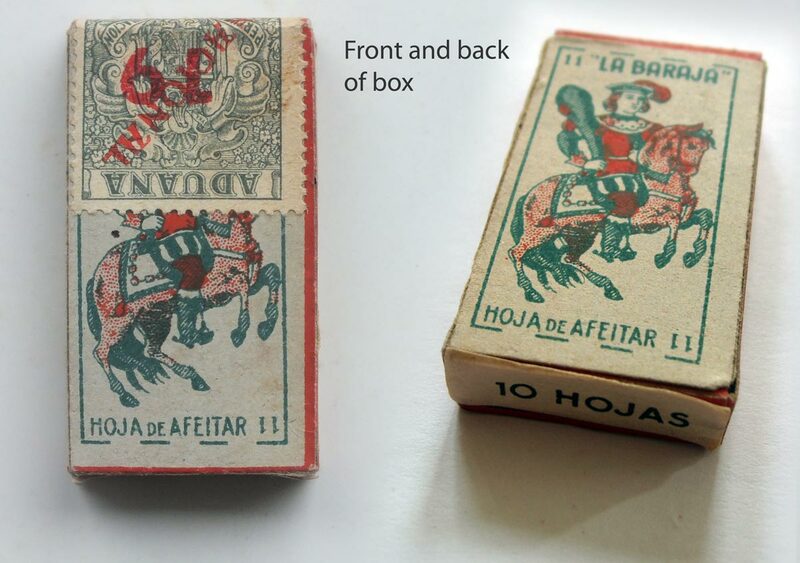 Above: cards and box from Spanish miniature trade pack 'Baraja Hoja de Afeitar', with traditional Catalán-style courts, cut out from razor blade boxes. 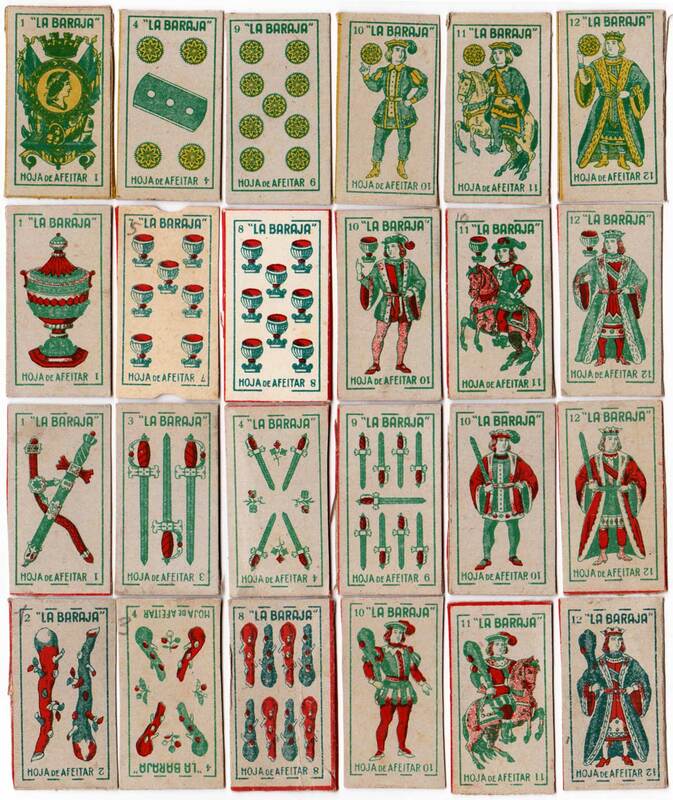 48 cards, 26 mm x 47 mm, printed in green + red or yellow, c. 1938. The ace of coins has a mural crown and the four of coins has a picture of the razor blade. Above: the side of the box reads: Baraja de Hojas Maravilla descalificadas como de primerísima categoria.